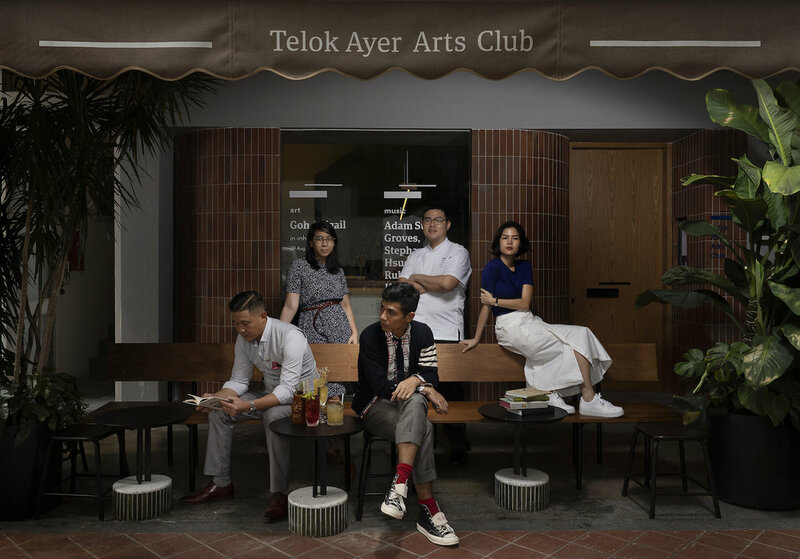 The Telok Ayer Arts Club team. Clockwise from back left: Kamiliah Bahdar, Bertram Leong, Anmari van Nieuwenhove, Hasnor Sidik, Din Hassan. 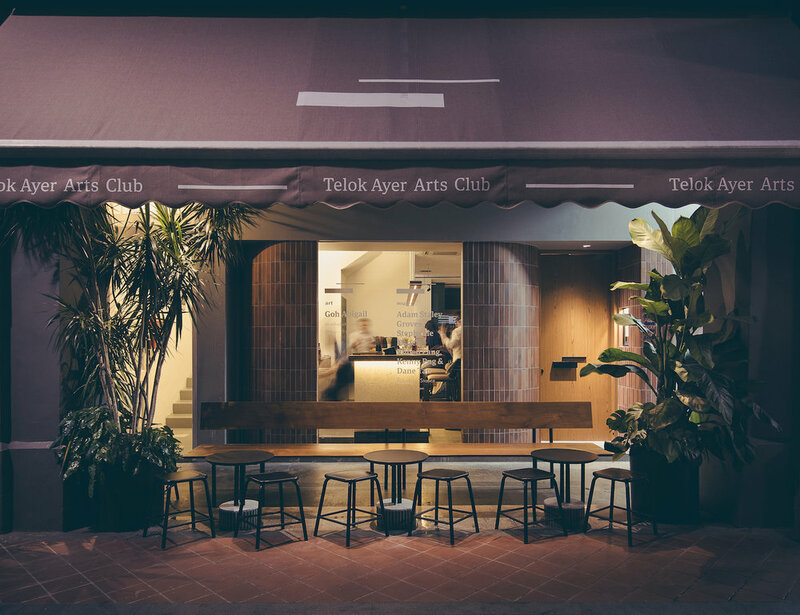 Telok Ayer Arts Club opened in Singapore’s Central Business District (CBD) in August. In parts art gallery, bar, bistro, the space is injecting a breath of fresh air into the local art scene, based on the inclusive, open-to-all concept of multi-functional community centres that are found in Singapore’s heartlands. The founding homegrown team is made up of Founder and Director Quek Sue-Shan of The Supermarket Company, Music Director Hasnor Sidik, and Curators Anmari van Nieuwenhove and Kamiliah Bahdar. Together with Bertram Leong heading the kitchen and Din Hassan tending the bar, the space has seen a commingling of people from varied backgrounds to appreciate art in a unique setting. Highlight events have included the current exhibition of young Singapore artist Abigail Goh’s series of installations, ‘in-habitations’, in response to the construction of the club’s physical space and observations of its goings-on, as well as a live musical performance featuring artist Ruben Pang along with four fellow “part-time” musicians – Adam Staley Groves, Stephanie Hsueh, Kenny Png and Dane Tan. A&M speaks with Anmari about Telok Ayer Arts’ Club unique business model, who it appeals to and what it aims to achieve in the long run. 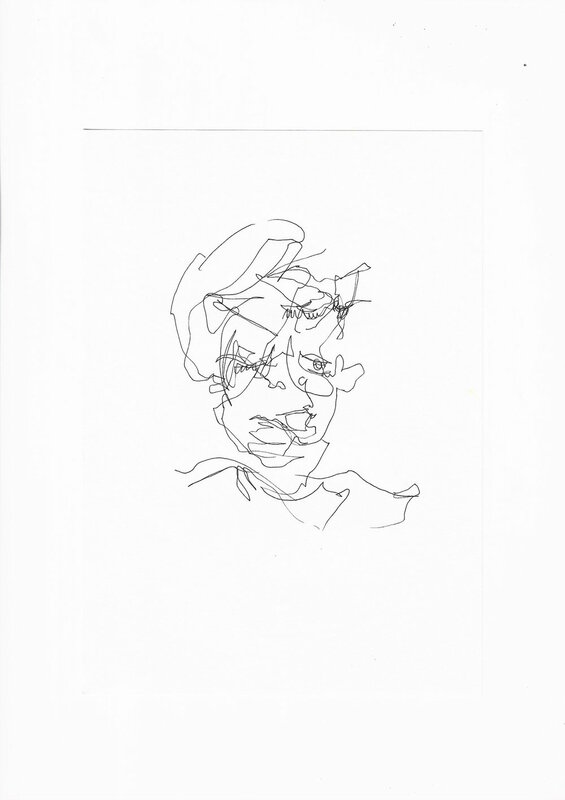 A drawing by Abigail Goh, made at Telok Ayer Arts Club. How is Telok Ayer Arts Club similar to and different from an art gallery? It is similar to an art gallery only in that artworks are displayed and for sale. Other than that, it is quite different in that it is a functioning bar and bistro, with a full kitchen and chef. It offers an all-day dining menu, with a unique cocktail programme that encourages daytime drinking. Overall, it is a casual social space meant for encounters with different kinds of multidisciplinary arts. How did art come to be paired with music? Did it start organically based on an existing founding team member’s background or was there a concerted effort to seek someone out to get it going? I think it was a bit of both. We all have different connections with music, although one of the partners, Music Director Hasnor Sidik, probably better known as Mr. Has, comes directly from a musical background, with a long history of making and producing music for lifestyle and hospitality brands. I think art and music are intrinsically linked, as with many things, so the affinity was quite natural, and the relationship happened organically — just like ‘Primordial Stance’, which was a one-night event that featured painter Ruben Pang and his recent obsession with writing and recording music with other members. That conversation was just the spirit we wanted to capture in the Arts Club. ‘Primordial Stance’ at Telok Ayer Arts Club. The collaborative spirit seems like a particular strength with Telok Ayer Arts Club. Is this something that will continue to shape what it does? Yes, our focus is on multidisciplinary works or shows involving people with multiple disciplines or, as I like to call them, “secret hobbies”. Was the CBD location intentional from the outset? We had the location, and came up with the concept. We knew it was a great location for a warm, welcoming space because we’re at the crossroads of business and finance, advertising and creative industries, an intensely competitive and trendsetting F&B scene, as well as extremely diverse cultural heritage. It definitely sets us apart, and gets us a lot of visibility that being somewhere else might not. What has the response been like in these first months of operation? I would say that so far it has been a mixed response. We do spend a bit of extra time explaining the concept to people because it is so novel. As with most fresh ideas, I think it takes a little longer to sink in, and people sometimes need time to warm up to it. However, for some the feedback has been that they haven’t seen something like this in Singapore just yet, and that they’ve been waiting for a place like this for a long time. Who visits and are they already art buyers? The Telok Ayer community: you have bankers, people from advertising and PR agencies, lots of white collar workers. You get a good mix of expats and locals. Surprisingly, lots of fitness instructors! I wouldn’t say that they are already art buyers, but they all definitely have their own affinity and connections with art. We’ve already sold half of the work in the current show, with works by Goh going from SGD300 to SGD2000. Façade of Telok Ayer Arts Club. What highlights can we look forward to before the year ends? Our upcoming show features a Singaporean who’s lived abroad for the past decade, and has had a multitude of careers and talents. We’ll be presenting a series of paintings by Ashidiq Ghazali, a pioneer in the hip-hop and drum and bass era back in the 80s. Before this he had been working in several advertising agencies in London. He’ll kick off the festivities DJing in our first ‘Kelab Malam’ (‘Club Night’ in Malay), on 26 October with other veterans: our music director Mr. Has, Aldrin, and Brendon P.
What are the long-term plans? We like to consider ourselves a new kind of urban “community centre” for the needs and demands of today’s fast-paced world, so who knows? There’s more than 100 community clubs in Singapore, why not Arts Clubs.